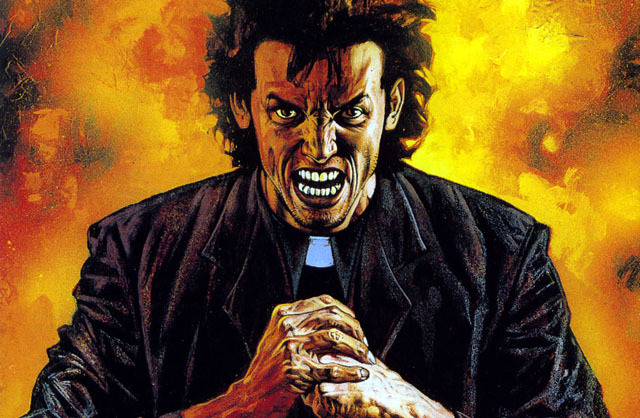 Ever since the Vertigo Comics series premiered in 1995, there have been talks of adapting Garth Ennis’ darkly comic and ultra-violent supernatural western “Preacher” in one form or another. At one point, Academy Award winner Sam Mendes was even planning on directing a big screen version. After a number of false stars, however, it sounds like “Preacher” is finally on the way as a television series with AMC today revealing that they have set a pilot commitment for the upcoming show with plans to shoot in 2015 and, if all goes well, premiere as a series in 2016. First announced late last year, the Sony Pictures Television and AMC Studios co-production was developed for TV by Sam Catlin (“Breaking Bad”) and Seth Rogen & Evan Goldberg (This is the End). Rogen and Goldberg will produce through their Point Grey banner, along with Neal Moritz’s Original Film. The pilot was written by Catlin and has Rogen and Goldberg attached to direct.